(RNN) – The 2018 Atlantic hurricane season showed “above normal” activity overall, a National Hurricane Center summary released Monday shows. “ Fifteen named storms formed , of which eight became hurricanes and two became major hurricanes – Category 3 or higher on the Saffir-Simpson Hurricane Wind Scale,” the NHC said in its Monthly Atlantic Tropical Weather Summary , its final monthly report for the season, which ended Nov. 30. Among those hurricanes were the deadly Florence and Michael, which inflicted serious damage along the East Coast and the Gulf. The long-term average for the Atlantic hurricane season is 12 named storms, six hurricanes and three major hurricanes, according to the NHC. The combined strength and duration of tropical storms and hurricanes in the Atlantic, measured as Accumulated Cyclone Energy (ACE), was also above average. The 2018 season didn’t quite reach the overall levels of last year’s , when there were 17 named storms, with 10 of those becoming hurricanes and six becoming major hurricanes – including the devastating Harvey. 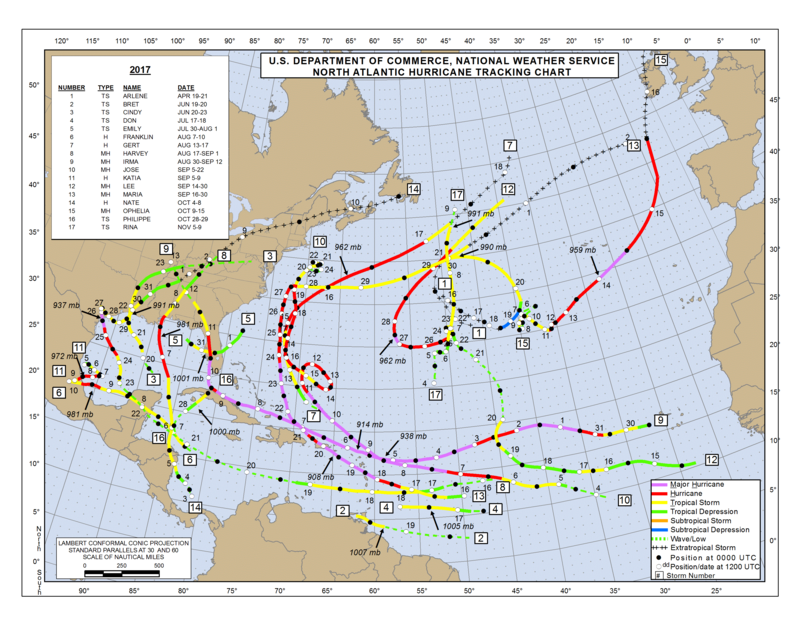 The Atlantic hurricane season runs from June through November.